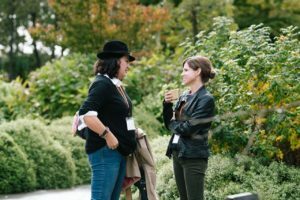 Often when we hear the word “networking,” our gut reaction is to roll our eyes or perhaps even cringe. Networking has become associated with an aggressive, take-what-you-can-get mentality that prioritizes selfish gains over real connections. It doesn’t have to be so. Seek opportunities that are different. Fight the urge to let your calendar fill up with big domain-specific conferences, events and networking pre-parties where you end up seeing the same faces because you’re on the same circuit. Get out of your industry swim lane. There’s tremendous strategic value in seeking insights from people outside your industry. They will look at your problems and opportunities differently. The diversity of your network therefore impacts the diversity of it’s output – the more diverse your network the more diverse the ideas and connections you yield. Like a farmer, plant seeds and cultivate your field. Focus on the long-term value of a mutually-beneficial relationship. The relationships with depth, not width will yield the diversity of thought and perspective to help you stay ahead. You’ll unlock more potential out of relaxed exchanges. The rise of the unconference validates this. Executives are seeking opportunities for more meaningful conversations and connections upon which to foster relationships that can be mutually advantageous. 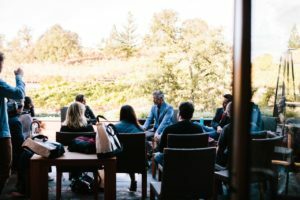 Typically smaller, more diverse gatherings are where you have real, unscripted conversations that yield better return on your investment and time. Over the clink of glasses and a shared experience the space for more authentic connections and ideas emerges. For instance, Uber sprung from a conversation in a pub outside a conference in Dublin. It’s usually the conversations outside the main ballroom or conference hall where the good stuff happens – where relationships and the opportunity for new collaborations begin. Seek opportunities where more of that is possible. It’s safe to say, the next great innovation and collaboration is not going to spring from a 1,000+ attendee pre-party or coerced power networking session. Interacting with a smaller network of people from diverse industries also helps unlock cross-overs – when you can apply an idea from one industry to another. You’ll find commonly held ideas in one field may be revelatory to another. You can connect new dots and opportunities. This exchange of ideas not only sheds new light on your own projects and challenges but also opens up innovative solutions to other problems we all face. Aided by a collaborative business environment, the impact and acceleration of ideas also expands with the diversity of your network. 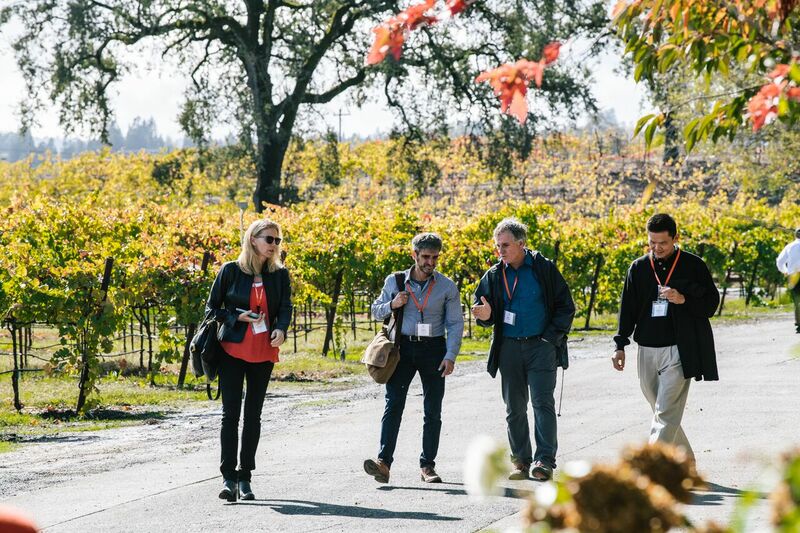 Interacting with a diverse group of industry leaders allows you to see the bigger picture and identify opportunities for investment, growth or partnerships in your own industry. In an age of disruption, this helps you stay innovative and grow. Get out of your industry swim lane and find opportunities to hear what’s working, what’s not and what’s on the horizon in other industries. A more diverse, cross-industry network will yield greater returns and allow you to get a fresh perspective, discover new ideas, identify new opportunities and achieve greater success. Someone in your more diverse network may help you spark the next big thing.